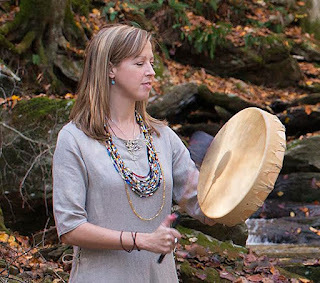 New Open Shamanic Journey Group starting Feb 21st! My name is Monika Lonely Coyote, and I am a shamanic healer located near Columbia, MD. I am a full-time shamanic healer, and have recently been accepted into Sandra Ingerman’s 2017 Teacher Training program. I am looking forward to helping others discover shamanic journeying as a self-healing and spiritual practice! Shamanic journeying is a spiritual technique used to contact Helping Spirits in Otherworlds in order to receive healing, knowledge, and insight. It is a type of direct revelation that is very empowering, and can be learned by individuals in all cultures. There have been numerous publications on shamanic journeying, but my favorite is Sandra Ingerman's text: Shamanic Journeying, a Beginner's Guide. It is grounded in basic skills and techniques, and is easily accessible for readers (it also includes a CD with drumming tracks). If you are interested in learning beginning-to-intermediate Shamanic Journeying skills, or if you are looking for an ongoing & dedicated group with which to study, then please join us! I am leading an open Journey Group on the third Sunday afternoon of each month, from 2:00pm – 4:00pm. These classes will be held either in Laurel (at Neighborhood Acupuncture) or Columbia, MD. Space is limited to around 15 attendees each month, and payment of $30 can be made via PayPal to reserve your spot (please email for details). I’m looking forward to meeting you, and helping to connect you with your Helping Spirits!